Intuitive eating has become popular, but many people feel overwhelmed in knowing where to start. Try these three exercises for new intuitive eaters. Intuitive eating, the practice of becoming attuned to your body's needs and signals as a form of weight management, is something I talk a lot about on this blog. Also in my practice, with my friends and you know, sometimes to random strangers. What can I say? I'm passionate about it. When someone first learns about intuitive eating, they're usually intrigued and want to learn more. But if you're a chronic dieter, the idea of intuitive eating may be kind of terrifying. It's not uncommon that when I work with a new client, they're somewhat resistant to the idea that diets aren't the solution. With intuitive eating, the more fully you embrace it, the easier it comes. 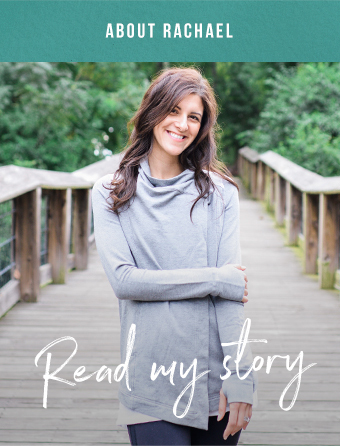 That's why I came up with three exercises for newbie intuitive eaters, designed to help you break up with diets and get back in touch with your body. Head on over to my friend Emily's blog, Zen and Spice, for my tricks of the trade!